Cache Types: A very varied range including many bespoke containers. Many are large enough to take trackables. Good clues throughout. 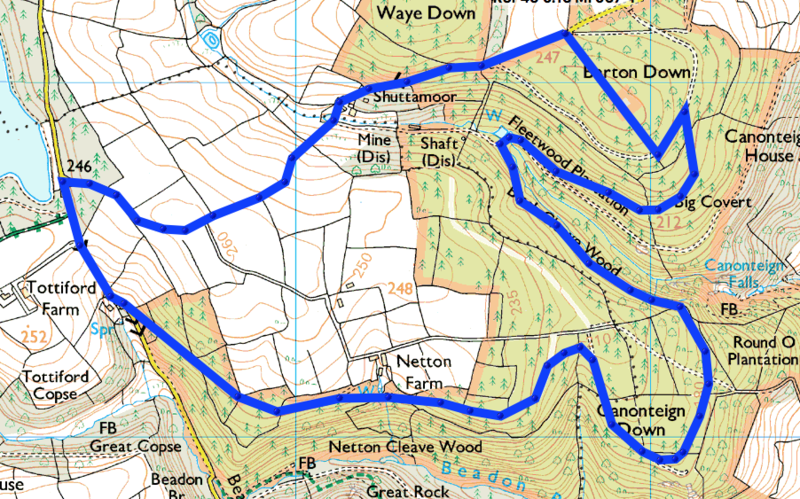 Terrain: About 70% on rarely used forest tracks and 30% on quiet country lanes. The route mainly winds around following the contours, but there are two steepish hills, both on tarmac. The forest tracks are likely to be muddy in places. Parking: Very limited parking by the first cache and a few more spaces further up and down the road. Description: A very pleasant and quiet forest-based walk (or ride) following an easy route using well defined tracks through a Forestry Commission plantation.